Alexandre Dumas had so many ideas! But he didn’t have time to do all that bothersome research, all that cumbersome writing. So he set up a kind of factory system to get it all done in one lifetime. His grandmother had been a slave in Haiti. That meant her children with the French nobleman who did not marry her were slaves from the moment they were born. One of her children was Alexandre’s father; he was taken to France by his noble father and freed when he was 10. He became a general in the French army, but when Alexandre was four, he died of cancer. Alexandre loved to read and in his twenties, he got a prestigious job in Paris. Soon, he started a newspaper. When he wrote his first book, about famous crimes, it was a collaborative effort with friends. Then he and his fencing teacher wrote a book about fencing. Alexandre was on his way! 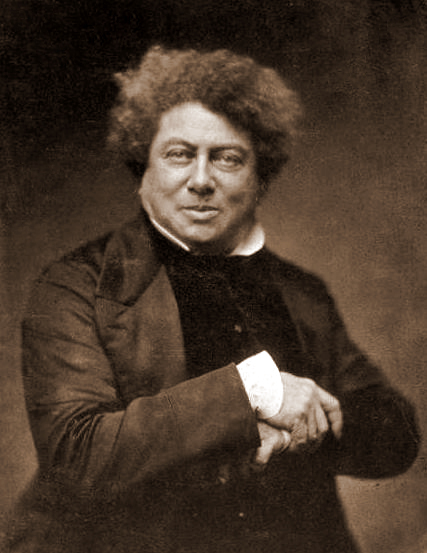 He set up a system – lots of writers producing hundreds of articles and other works, always with Alexandre Dumas having the final approval. When Dumas met Auguste Maquet, it was a deal made in writers’ heaven. Maquet, a professor and an expert in French history, did a heck of a lot of work – from suggesting plots to actually writing first drafts. 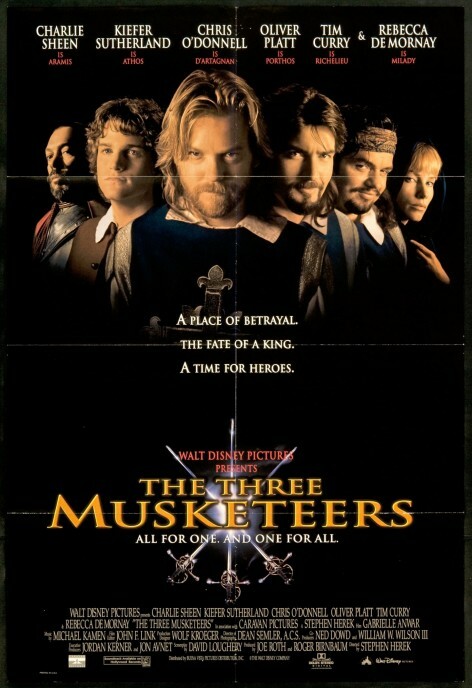 This included the wildly popular The Three Musketeers, with its romantic hero, d’Artagnan — based on the life of Charles de Batz-Castelmore d’Artagnan – first appearing in serialized form in a newspaper in 1844. All under the name of Alexandre Dumas, not Auguste Maquet. Dumas, who was now earning a fortune, always managed to spend more than he made (a lot of it on at least 40 mistresses). 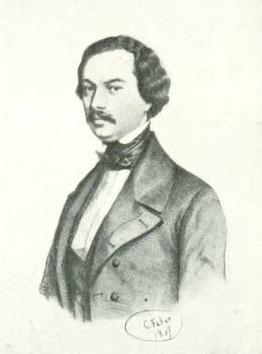 Maquet wanted more money, plus his name as co-author. Dumas’s response? “Sue me.” Maquet did. He got more money but that was all. No credit for his work, no name on the title page. Maquet’s huge contribution to Dumas’ work wasn’t really understood until the 20th century. 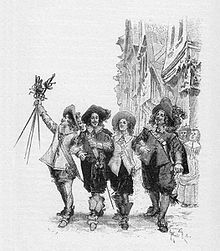 Dumas really believed in d’Artagnan’s motto – “One for all and all for one.” As long as the one was Alexandre Dumas. Today we would call Dumas a novelist, playwright and publisher. He had not only to write but to found newspapers and theaters. He wrote 100,000 pages, founded Paris’ Théâtre Historique, was politically active when it was truly dangerous, and helped his son achieve success as a novelist and playwright. The English playwright Watts Phillips knew Dumas, describing him as “the most generous, large-hearted being in the world. He also was the most delightfully amusing and egotistical creature on the face of the earth.” Dumas helped countless writers and became the most widely read French author of all time. By 1844, sixteen years before the American Civil War, Dumas was a famous author and living proof of the intellectual capabilities of Africans in an era when that was still disputed. Not bad for the son of a slave who faced racial discrimination throughout his life.